Well I just had to draw this pokemon. 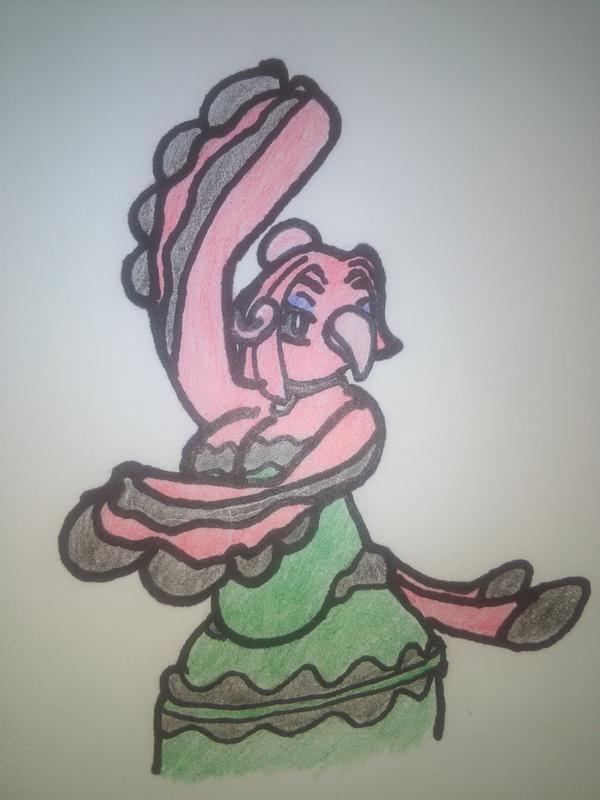 Oricorio's baile style is my favorite one from the trailer. I'm not sure what to name her, but I'm open to suggestions. I kinda based her off Pavita Pechugona.